A couple of weeks ago I reviewed Remedy. Later, I found out the owners of Remedy also owned HG SPLY Co. Well, if HG SPLY Co. was half as good as Remedy, I had to try it. It did not disappoint. A friend and I ventured out on a drizzly Halloween afternoon for lunch. We had a short 10-minute wait. When seated, the happy waitress informed us of the restaurant’s concept. It is simple: good, clean food and hospitality. After our experience, I can tell you, most assuredly, HG SPLY Co. takes both food and hospitality seriously. The interior was inviting. Warm industrial; similar but different from Remedy. They have design down. The music was loud and good. The raved-about upstairs patio was closed due to the weather. Darn! I guess I will have to plan another visit! 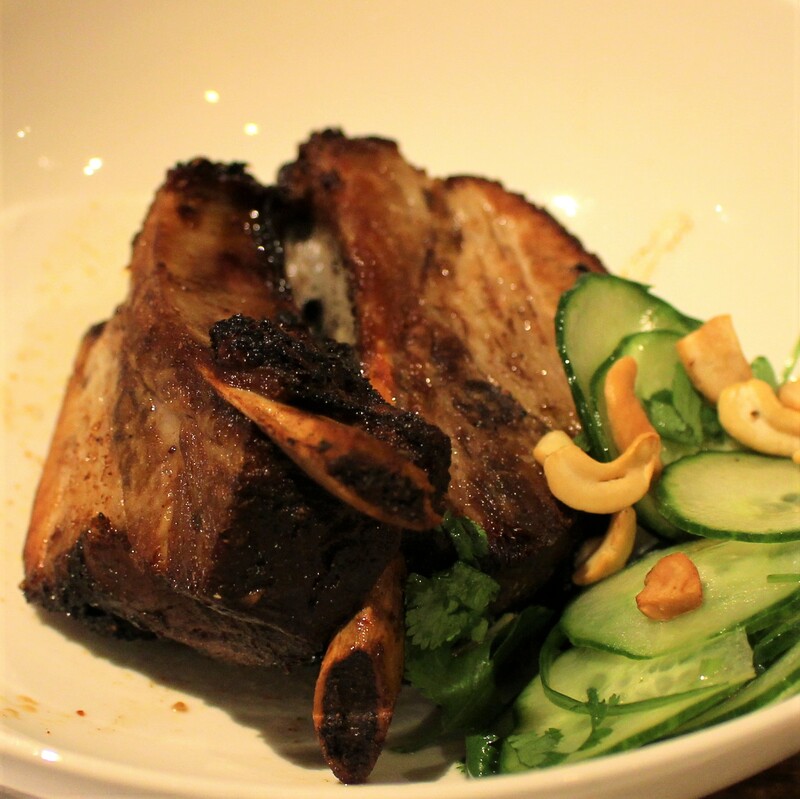 To start, we ordered the Sweet & Spicy Berkshire Pork Short Ribs. They were good and tender, but we were hoping for a little more flavor infused through the meat. The side of marinated cucumber salad was the winner here. The fresh cucumbers were marinated in mint, cilantro and toasted cashews. Really clean and fresh. For an entree, I chose the Clubbed Turkey with the homemade french fries. I mean come on….look at that pic! It was amazing. 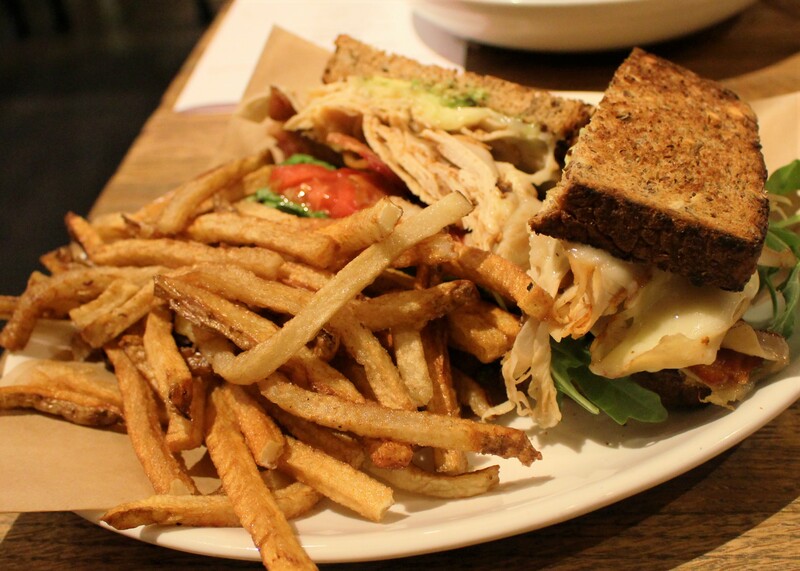 The natural turkey piled high then topped with bacon, cheddar, avocado, garlic aioli, arugula and tomato. And the bread? Grainy, nutty goodness! The fries were fresh with the skins on. I was able to take half of the sandwich home and relive it in all its glory again for dinner. 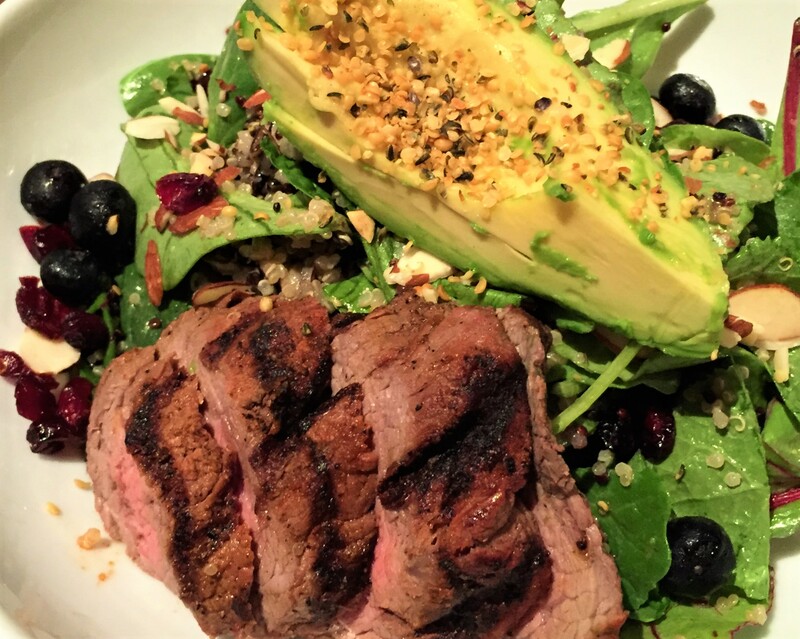 My friend ordered the Greens & Grains Salad with grilled beef. This salad was loaded with good stuff: greens, wild rice, quinoa, blueberries, cranberries, avocado, almonds, hemp seeds and dressed in a yummy, perfectly seasoned vinaigrette. She said it was the best salad she’d ever eaten. How could it not be with all that goodness in it? Yumminess spreading all over the taste buds. The gentleman who checked on us asked if we saved room for dessert. Of course we did! My friend jokingly said she’d have the Orange Lazarus Orgeat from next door at Remedy. In all seriousness, he said she should try the Orange Dreamsicle Pie AND that he would go get it for her. How could she resist that? It was a perfectly balanced, creamy pie. Not too sweet or tart. The graham cracker crust had a hint of cinnamon. The candied orange peel was sublime! I opted for the Banana Nut Bread Pudding. 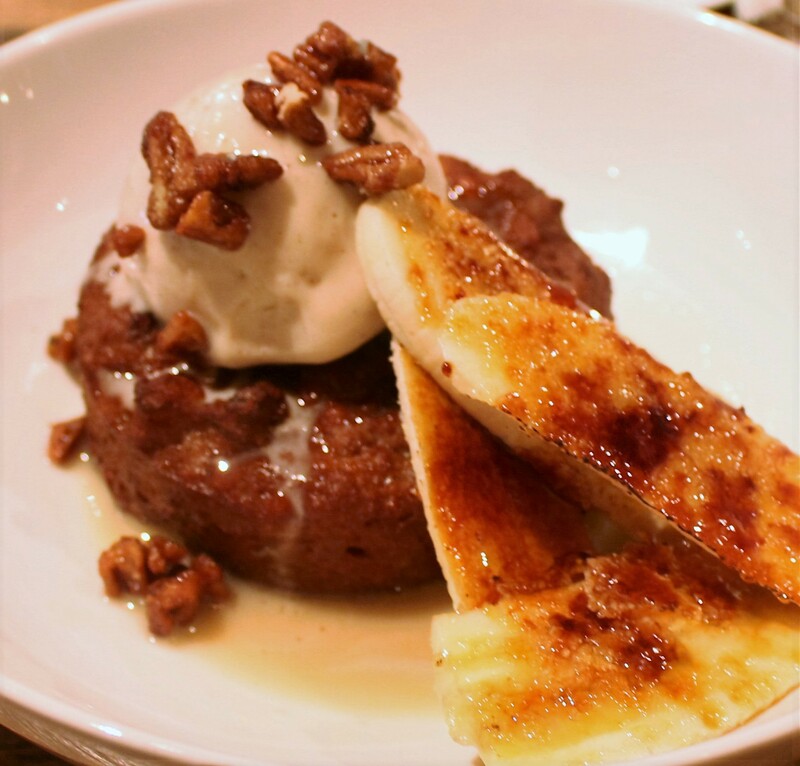 It was served warm with almond milk ice cream, candied walnuts, caramel and bruleed bananas. Honestly, I was a little bit worried about the almond milk ice cream. How good could that be?! It was! I would have never known it wasn’t made with cow’s milk had I not read the menu myself. The bananas were so good…crispy on the outside and creamy on the inside. The bread pudding was quite good as well. A little of each ingredient on the spoon and it was the perfect bite. I have to tell you HG SPLY Co. went out of their way to make our visit over the top. The staff is top-notch. The food is excellent and healthy…the way it should be. Well done HG SPLY Co. I can’t wait to visit again and try one of the signature bowls.